Love THIS paper collection from Authentique....bright and fun!! 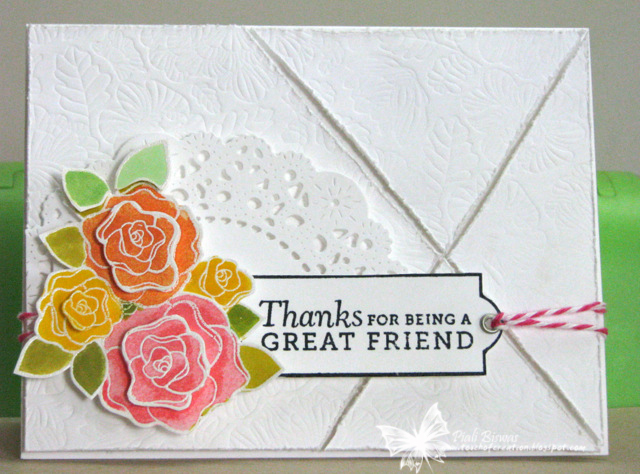 The sentiment is from THIS Hero Arts/Basic Grey stamp.Heat embossed it with Stampendous EP. I got these mini rolled rose dies from MFT along ago...never used them, so today I finally made the cute flowers. The leaf die is from Wplus9. 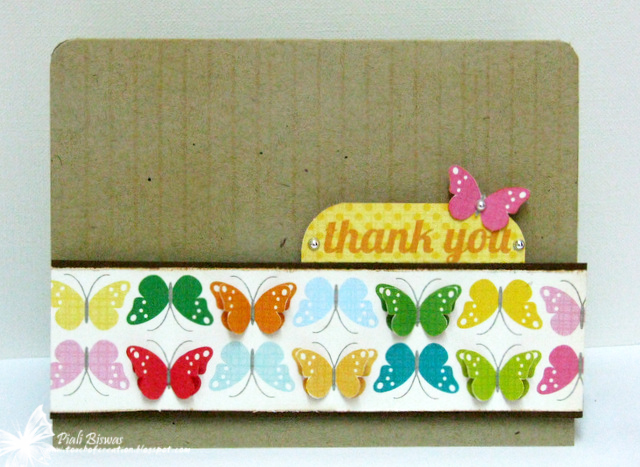 This card is for the floowing challenges..
Craftymess Challenge :Distressing and Embossing . Creative Inspirations Paint : Flowers. I've a long crafty wishlist ....and it keeps on getting longer. Wplus9 stamps was one on the top of the list and I just got a package from Dawn. Love the Chevron Impression plate...sorry for poor photography the embossed background is not clearly visible. I used Label Layers 4 and Mother's Day Bouquet stamp sets. Lily Pad : Flower challenge. Hello & Happy Earth Day Everyone!! 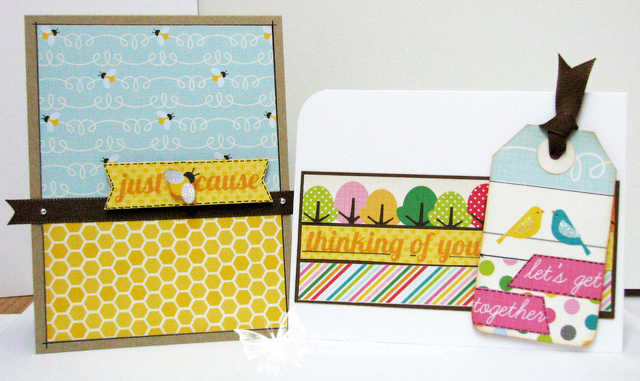 Here is card inspired by the beautiful MFW- Tuesday Tigger!! I used Distress ink and water to create the watercolor effect. The butterfly stamps are from Wplus9 and My Mind's Eye. The sentiment is from Pebbles stamp set. The dress has some lovely stitching on it ...so I did some handstitching. 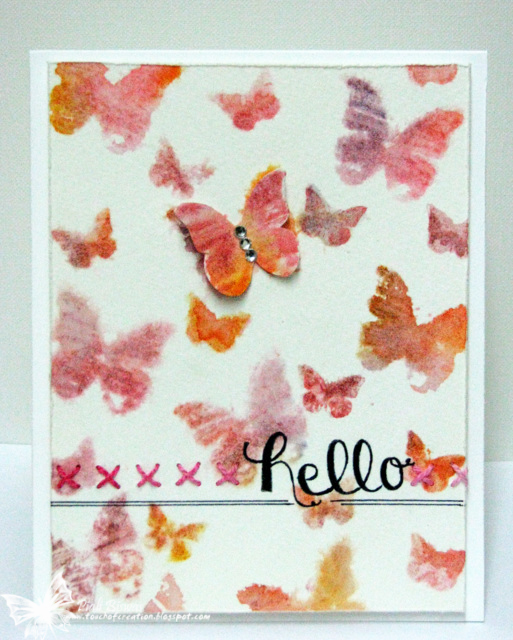 Moxie Fab World- Tuesday Tigger- Watercolor Butterflies. Marks Finest Papers : Stitching. Our Creative Corner - Butterflies. Card Crafter's Circle - In stitches. Today I got a long awaited package ....... so quickly whipped up a card. 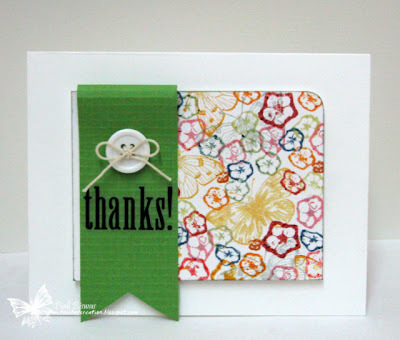 Love this flower stamp from Pebbles. 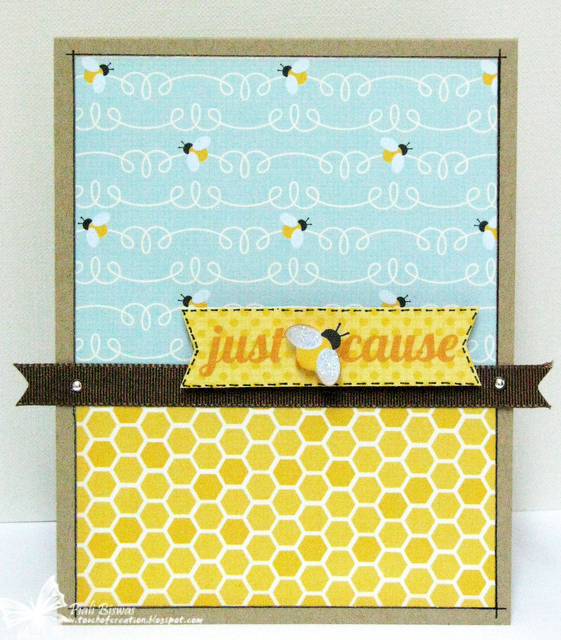 I used Lawn Fawn's Chevron backdrops satmp for the lovely background. Very simple........with just a lil' touch of sparkle! Kathy's lilypad Palette challenge: colors. Oozak : Challenge #1-Anything Goes! Lilypad Simon Says Stamp Flower challenge: Flowers. Hope you all are doing fine!! I had a very busy but a good weekend !! I've two cards to share with you all.. only stamps I used are for the sentiments! 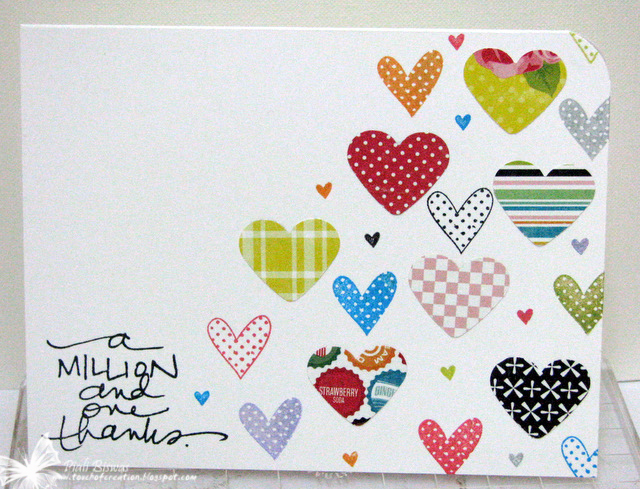 I love this card....its different from what I usually create. Just a mix of different fibers, diecut negative and pretty papers. 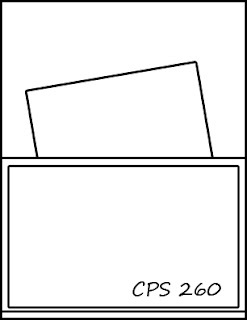 The papers are from My Mind's Eye! Crafty Ribbons : Things with wings. Paper Play :Things with wings. The Squirrel & the Fox - Things with wings. Simon Says Stamp and Show... : Anything Goes. Let`s Ink It Up : Distressing. 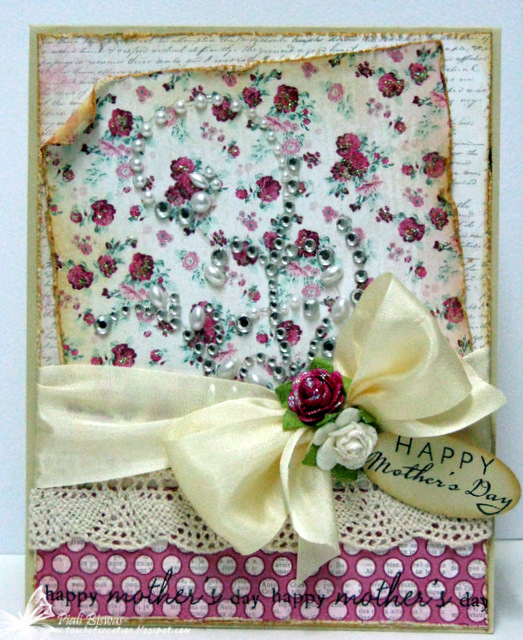 Next one is a simple Mother's day card with lots of sparkle & bling. Again pretty My Mind's Eye papers!! 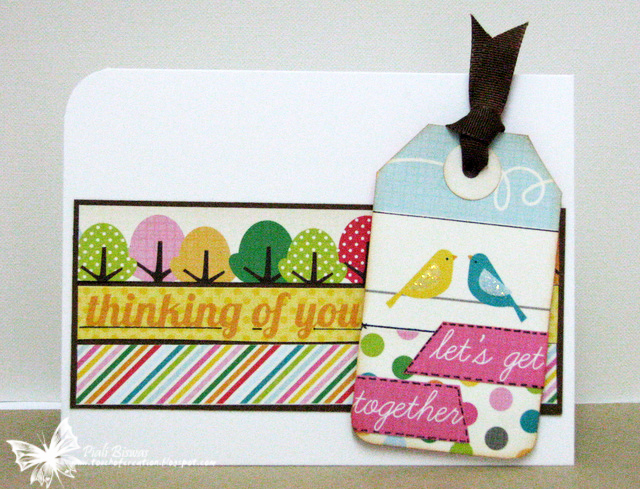 The tag sentiment is from Verve stamps and teh sentiment on the bottom is from Papertrey Ink. May Arts satin ribbon, Prima pearls & rhinestone flourish lots of stickles and prima flowers.....very girly!! Craft Us Crazy : Mother's Day/Flowers. Rainbow Lady's : Touch of Vintage. Moving Along With The Times : shabby Chic and/or vinatge. Card Makin' Mamas: Make it Girly. 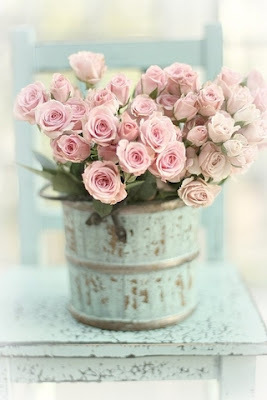 The Shabby Tea Room - Inspiration. Welcome to Softpencil Anniversary Bloghop!! Today we're celebrating SoftPencil Studio's Anniversary, Elizabeth's 10th Anniversary as a Professional Artist and CUTEST characters the Tinytwinies™ 1st Anniversary!! So its a GRAND celebration! Happy Anniversary Softpencil Studios & Elizabeth!!! If you're here from Kimberly's blog ...you're on the right track but if you're just joining me please hop over to Soft Pencil Studios Blog to start from the beginning. 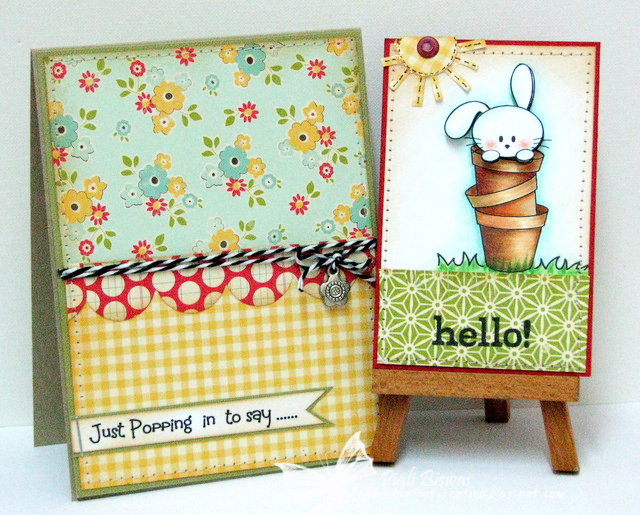 I used Growing Flowers in a pot digi for my card today. I used cute SUNNY for this card....thats the fun of dig stamp , you can use whole or partial image resize them as per project requirements! I used MS word to create "Just popping...." sentiment. The pretty papers are from October Afternoon. The hello sentiment is from Hero Arts. 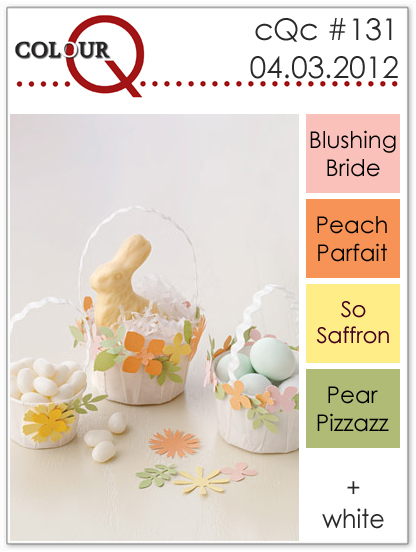 Creative Inspirations Paint : Bunnies, chicks or eggs. 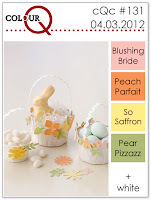 Paper Sundaes :Kraft, Lace, Die Cuts and/or Charms (use at least two) . 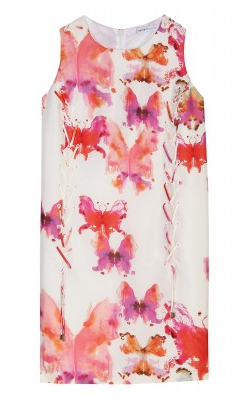 One Stitch At A Time : Use a digi. Incy Wincy Designs : Cute Critters. There are lots of prizes to win. 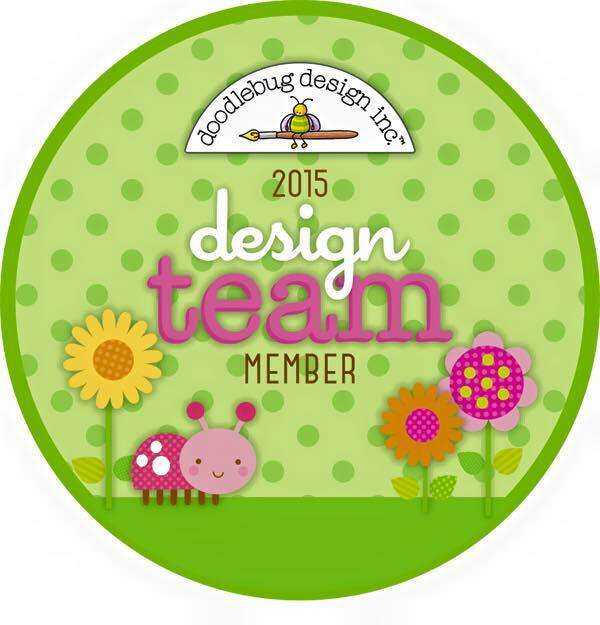 One winner from each Bloghop will get $15 Softpencil Studios Gift Certificate !!! There are " Mystery Blogs" ...where you get a chance to win a FREE Digi. So hop along and have fun!!! Next stop is.... Lawren's blog. If you get lost by anychance please check HERE for the deets. A CAS card for Paper Scraps Challenge in the Moxie Fab World. Scraps from Echo Park papers and Technique Tuesday sentiment. 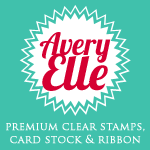 The filler stamp hearts are from There She Goes stamp. Paper Scraps Challenge in the Moxie Fab World. Today I sent quite a longtime in my craft room. 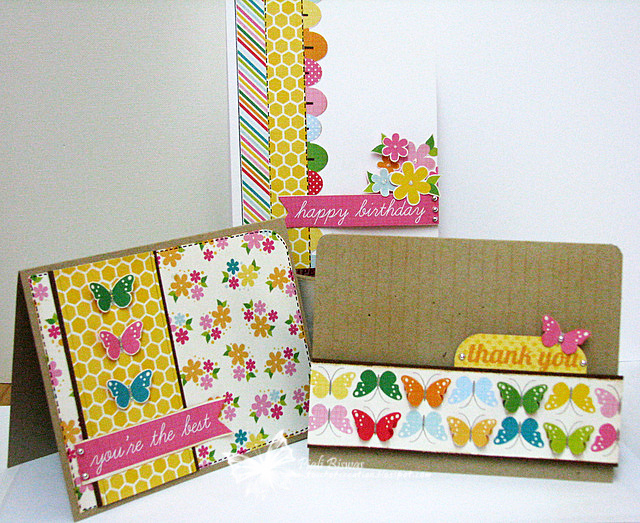 I created a card set for 5 for $5 Challenge in the Moxie Fab World . 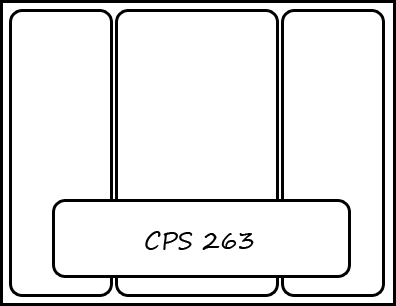 5 cards sound easy....but the trick is to make 5 different cards for just $5. 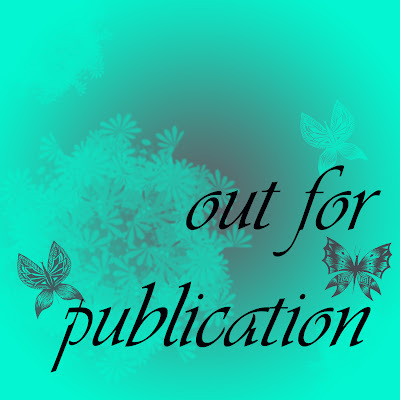 When it comes to creating in small budget I favorite choice of patterned paper is the double sided Quadrant prints, you get 5 different prints for the price of one. Here is the price break up .. So the total comes to $4.38. I did lot of fussy cutting! 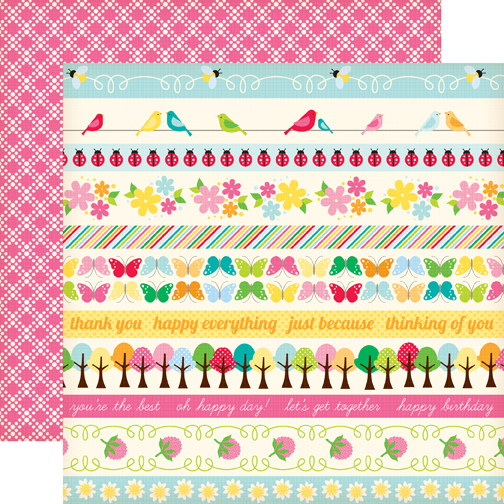 All the sentiment is from Border patterned paper. The lil' extra thing I added is a bit of Diamond stickles. Pile It On : All about "S"..( Stripes, scallops, stickles, silver pearls, stitching(faux)). I used the scorboard to make the faux dry embossed lines. Stamp, Scrap and Doodle : Things with wings. Catch The Bug : April anything goes. Just modified the sentiment for lil' fun!!! 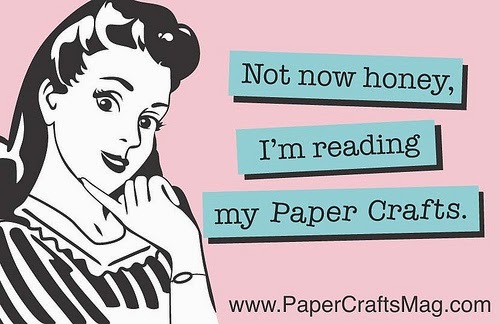 Papercraft Star : Anything goes. Drunken Stampers: You're a Krafty one. Fairy Fun Fridays : Anything goes. 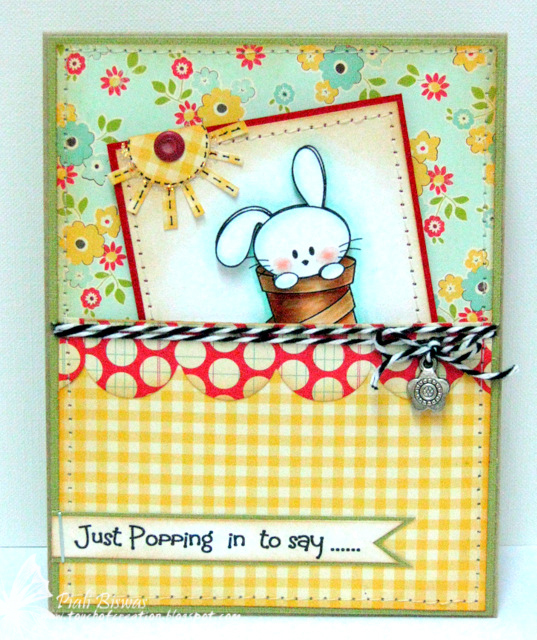 A quick post for a last minute entry for the fabulous Moxie Fab World Tuesday Trigger -Sweet Surprise challenge. Embossed the background with Sizzix EF . 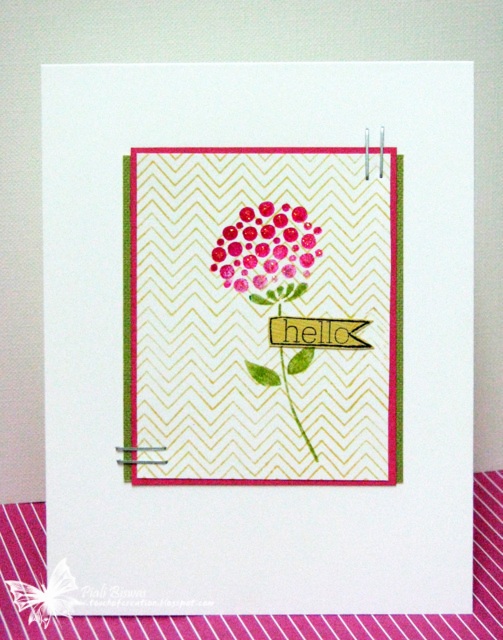 To added some more texture I used Hero Arts stamps and heat embossed them with Ranger's puffy white EP. Just punched out the circle and added to the card. 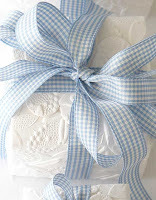 A lovely blue gingham ribbon and a sweet Hero Arts sentiment....simple card! 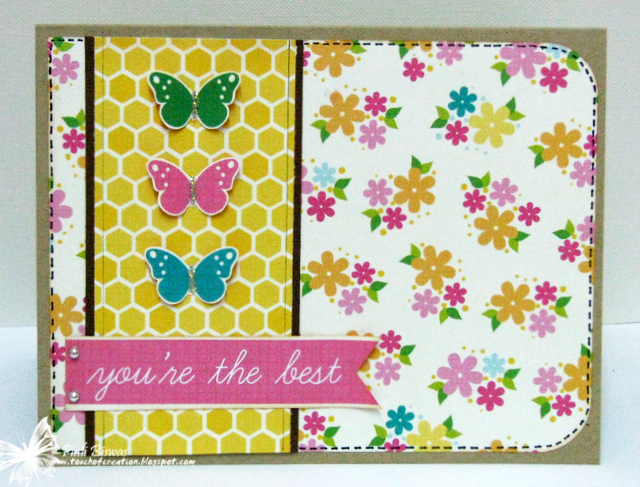 Moxie Fab World Tuesday Trigger: Sweet Surprise. 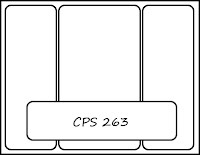 CCEE Stampers: Use embossing folder. Fab 'n' Funky : Embossing. Hoping your enjoying the Easter weekend!!! 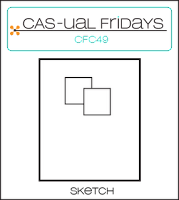 Today I've two CAS cards to share with you all.... inspired by RIC#9-Preen. 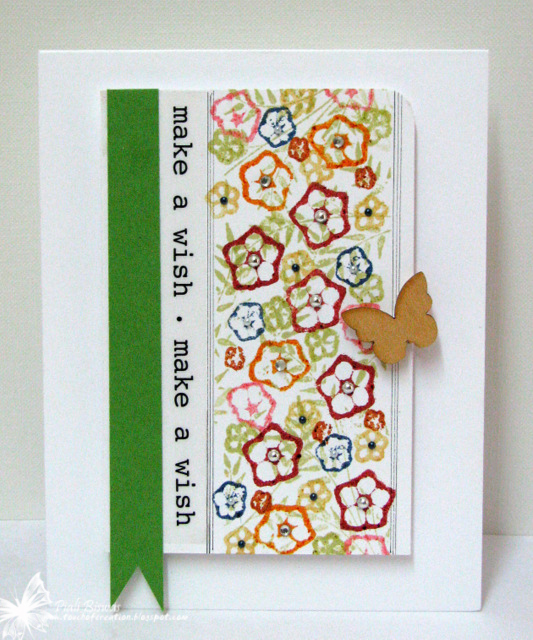 A very simple birthday card with lots of bling , a Studio Calico butterfly and SRM Sticker sentiment. The SRM stickers are a RAK from Virginia....thanks Virginia!!! 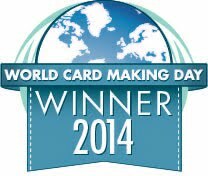 This card is also for Household Items Challenge in the Moxie Fab World . You must be wondering where is the household item????? If you look closely at flowers you'll get the answer....flowers are not any stamps, I just used OKRA to stamp these flowers. Its super easy and fun....just cut the different size of OKRA and ink it up ( I used distress inks) and stamp. You get a great variety of size. I had so much fun making the 1st card ...I couldn't stop , I made another one too. I combined my OKRA stamp and Hero Arts butterfly stamp for this one. Sentiment sticker is from E.A.D. Designs . Household Items Challenge in the Moxie Fab World . Wish you all a wonderful Easter! I'm still playing with the Hero Arts/Basic Grey stamp set......really love it! Did I mention about THIS....check Basic Grey Blog!!!! I created two cards with the same set and I think it can be used several more ways too! The first card was inspired by Lilypad card's Virginia's View inspiration( but I was late, challenge ended) really like the colorful rainbow of buttons!! 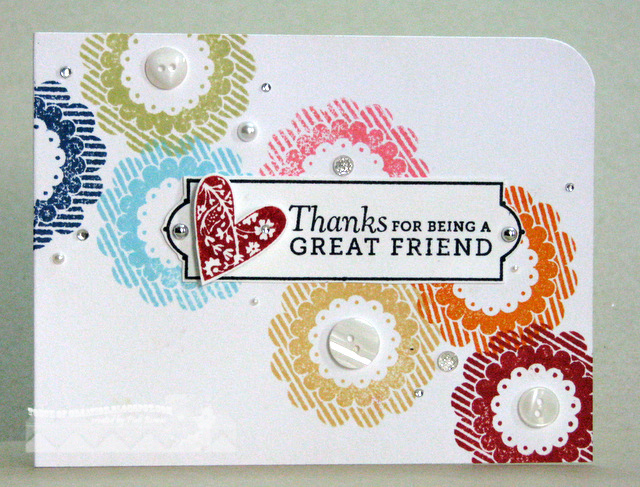 A CAS card with lots of Distress ink, one favorite stamp set and a few blings & buttons. The Pink Elephant : Clean and simple. 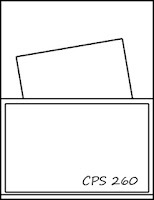 Stamp with Fun :No Eastercard . ....this HA stamp set is mt current favorite. Amusing Challenges : Buttons . the same lovely flowers..isn't it!!! Just combined Hero Arts stamp with some PTI dies and impression plate. I used distress ink to color the white embosssed flowers. 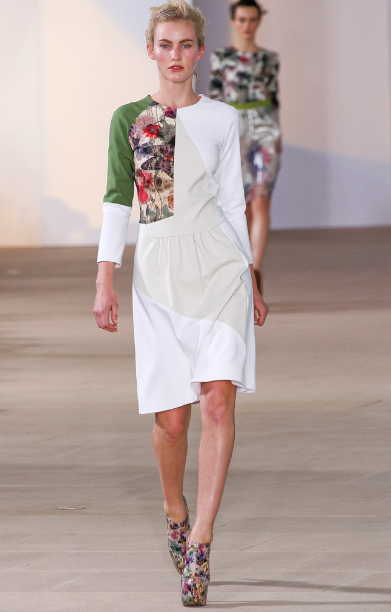 Lily pad card's Simon Says present: Flowers. Party Time Tuesdays : Flowers. 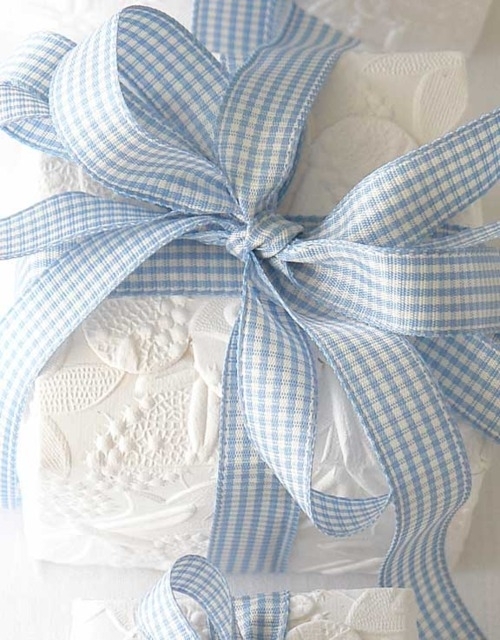 Paper Pretties : April Showers Bring May Flowers. Simon Says stamp: Favorite Tool. ...my favorite tools ...Martha Stewart Scoring board, Tim Holtz's Distressing tool, Cuttlebug. Okay!!! I don't know if you all noticed I finally changed my blog header. I want to get a custom blog makeover done but can't afford it right now. 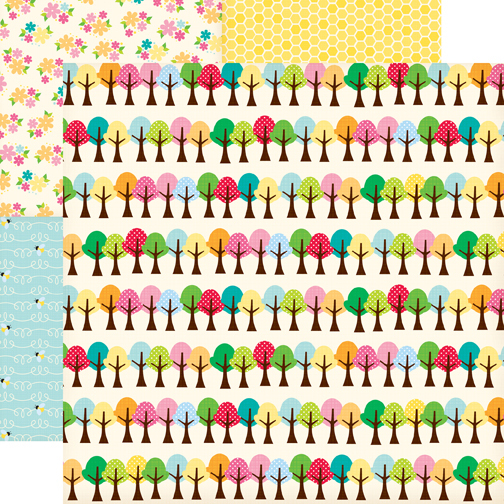 The previous blog header was the one I made 2 1/2 years ago.....so I played a little with PSE and created this new one. Its not something very fancy but it will work for now!